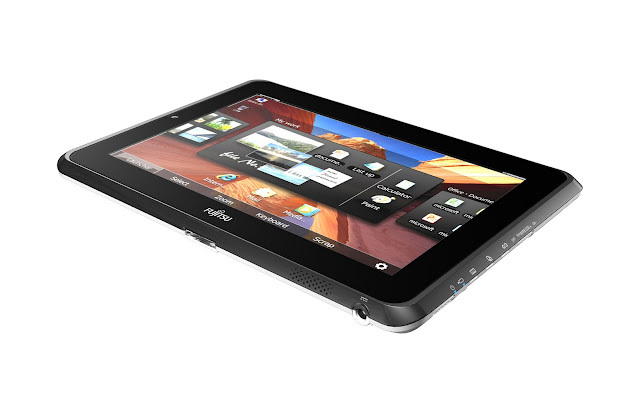 Fujitsu STYLISTIC Q550 (Secure Slate PC for Executive Class) - Hello! Welcome to my blog! PHILIPPINES, February 24, 2011 – Fujitsu today announced the global launch of the STYLISTIC Q550, an executive class slate PC designed for the high-security requirements of mobile enterprise computing, starting April 2011. Building on Fujitsu’s long heritage of creating tablet PCs for professional and executive users, the Fujitsu STYLISTIC Q550 Slate PC builds in security from the ground up, so that it meets the most stringent ICT security requirements of governments and businesses. The Fujitsu STYLISTIC Q550 is developed to meet enterprise mobile computing demands and integrate seamlessly into existing ICT infrastructures. Check out their cool ad below. Lim Teck Sin, Vice President, Product Marketing and Engineering, Fujitsu PC Asia Pacific says: “Many slate PCs on the market today are fun toys, but they don’t come anywhere close to addressing the business and security needs that are holding enterprises back from embracing the latest mobile computing technology. "The new Fujitsu STYLISTIC Q550 Slate enables users to get the most out of their tablet experience by integrating Nuance's T9 Trace and XT9 technologies (2) for faster, easier text input on the virtual keypad. When business users see how quickly and accurately they can write emails or documents, send messages, and communicate with our combination of continuous touch and predictive text, they'll just as quickly understand how a tablet like the Slate changes the dynamic of business productivity." said Michael Thompson, Senior Vice President and General Manager, Nuance Mobile. The STYLISTIC Q550 runs on Microsoft Windows® 7 and is compatible with Windows® multi-touch capabilities. Users can control applications and input text by touching the screen simply with just a touch of their fingers or by the attached stylus. The STYLISTIC Q550 is equipped with a next-generation Intel® Atom™ CPU that is highly-compatible with Microsoft Windows® 7 operating system, energy efficient, and features superior performance. By making full use of Fujitsu’s proprietary power supply control functionality, the new series provides effortless operations using a large-capacity battery that can power the slate PC’s 10.1 inch screen while still providing full work day battery runtime. Furthermore in terms of maintenance, the battery is removable. The overall unit weighs only 680g when a standard battery is inserted (3). The STYLISTIC Q550 employs an ergonomic design, with a surface texture and weight balance that make it fit naturally in the user’s hand. The STYLISTIC Q550 can connect to IEEE 802.11n/a/g-compatible wireless LANs and wireless WANs (4), thereby enabling high-speed network communications. This in turn, makes data communications in a cloud computing environment effortless and helps to facilitate smooth business operations. As the STYLISTIC Q550 runs on Microsoft Windows® 7, customers can deploy the slate PC without having to make changes to existing Windows®-environment security resources and operations management systems. 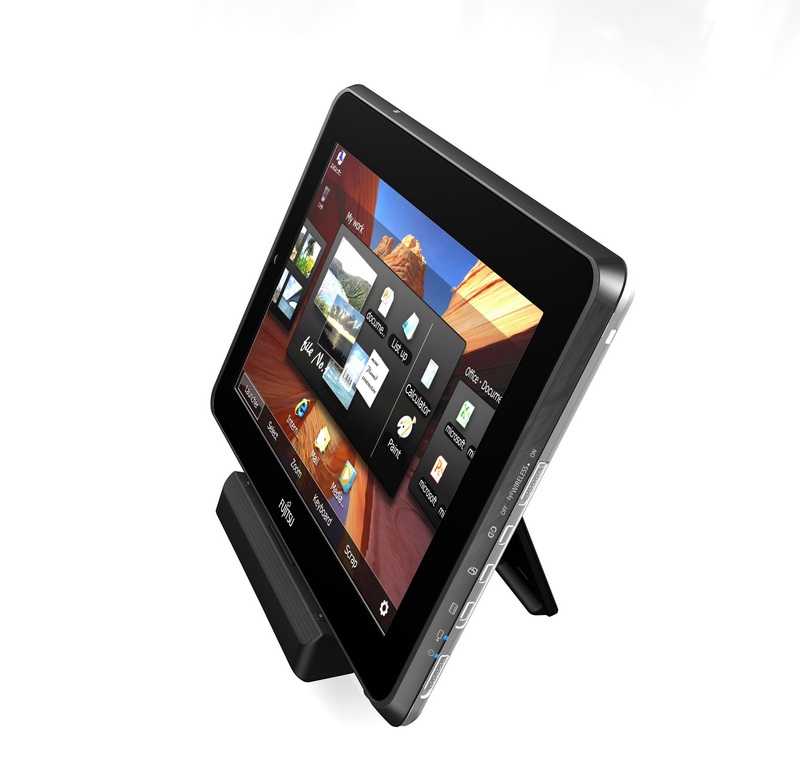 Moreover, through its unique product design process, Fujitsu has engineered the slate PC to incorporate a variety of technologies—such as fingerprint authentication, smart card reader, embedded security chip (5), and encrypted SSD—that enable the development of even more robust security systems, an important feature for enterprise customers. Check out the cool video below. BRATPACK IS READY FOR THE IPAD 2!!! Converse X DC Philippine release! THREE-BIES FROM SMART BRO'S BROADBANDEST BLOWOUT! SAVORY CHICKEN in Escolta ~ The Original! COCA COLA DREAM PACK WINNER! WIN HISTORY headset and an Apple iPod Shuffle! MR. SCHUE releasing his first solo album! CUCINA VICTORIA. Pasta and more! TEAM MANILA's new Messenger Bags! iPad iPad Oh iPad 2! OMG! THE CHINESE BUILDING A MEGATRON TANK!